Then, thanks to a good read and a burst of speed, McKinley safety Reggie Corner ended the suspense. 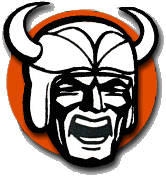 With just under four minutes left and the Vikings facing a second-and-10 at the Bulldog 23, Corner jumped in front of a Keller pass over the middle and cruised down the right sideline for an 80-yard interception return that sealed a 28-8 victory in a Federal League game at Central Catholic Stadium. Corner’s return was one of three big plays that doomed Hoover, along with a 96-yard kickoff return by senior Ja’Ron Lee midway through the third quarter and a 75-yard touchdown run by junior Josh Chandler midway through the second quarter. Lee’s return came seconds after Hoover RB Luke Reicosky broke through the middle of McKinley’s defense for a 69-yard touchdown that cut the deficit to 11-8. Chandler’s touchdown, meanwhile, came after he got bottled up in the middle of the line, broke back out and jogged down the right sideline with a wall of blockers alongside him. “Our defense did a real nice job all night, but they have some electric kids,” Hoover coach Brian Baum said. “That pick-six (by Corner) was huge, and that run (by Chandler) was kind of like a rugby scrum. All of the sudden he broke it off the back side and he was gone. Sam Snyder added two field goals for McKinley: a 36-yarder that made it 11-0 midway through the third quarter and a 48-yarder that tied the school record, giving the Bulldogs a 21-8 lead with 5:44 left. Zack Campbell also had a 48-yarder in a game against Boardman in 2006. “He’s a good one,” Reardon said of Snyder. Still, the big plays overshadowed a shaky performance by the Bulldogs (4-1, 2-0), who entered the game having scored 50 or more points in three straight games but were out of sync all night. Senior QB Dominique Robinson completed 10 of 21 passes for 93 yards and also ran 13 times for 50 yards, but McKinley was just 2 of 11 on third down. Chandler finished with just two carries — he didn’t play the second half after suffering a head injury late in the first half — and senior RB Javon Lewis had 12 carries for 64 yards. “(Our struggles) really started in practice,” Corner said. “We didn’t have great mental focus in practice this week. We all know practice makes perfect and it carries over into the game. Keller finished 20 of 36 for 134 yards with two interceptions for the Vikings (3-2, 0-2), who looked much more competitive than they did in last week’s 28-0 loss to GlenOak. Reicosky added 100 yards on 10 carries, and Nate George had 38 yards on 10 carries after missing last week’s game with concussion-like symptoms.